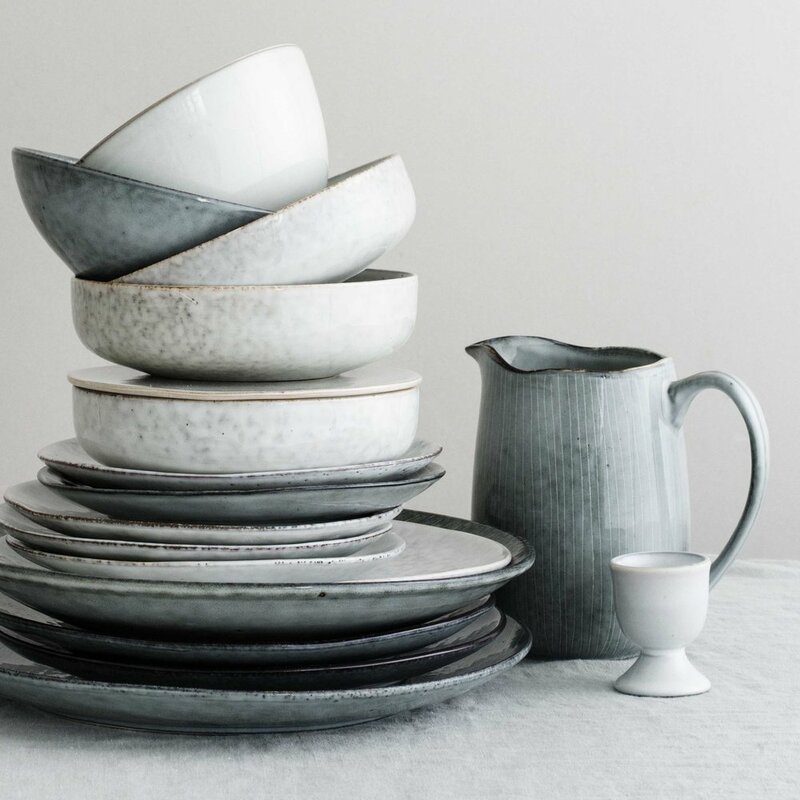 Broste Copenhagen Tableware, one of those products that's had me firmly in it's grips for a while now and a recent trip to the Danish capital just tipped me over the edge in hitting the button on placing the order on this gloriously tactile crockery. On the first morning of our trip, we tucked into a hearty breakfast at Grød (a specialist porridge cafe) on the hip Jægersborggade in Nørrebro and I felt giddy with excitement to realise that they had collaborated with Broste Copenhagen to design an effortlessly simple yet stylishly comforting range of earthenware. My second encounter with this addictive crockery during our stay in Copenhagen, was while we were shopping in a basement emporium selling EVERYTHING on my Scandi wish-list from achingly cool posters, sublimely scented candles and the odd candle stick that couldn't quite fit into my hand luggage. We were greeted by the shop owner, who offered us a cup of hot coffee ..... you guessed it, in a Broste Copenhagen beaker, those ones without a handle so you could properly hug your cold hands around a warm beverage, the embodiment of hygge. I settled on The Nordic Sea range, with subtle soft greys, blue hues and hand painted stripes inspired by the waves of the ocean running through each piece. Not that I was looking for one, but it's a perfect excuse to gather around the table, light some candles and enjoy a cosy meal with family and friends.